Before setting out for the waterfront you may wish to enjoy a more extensive view across the former Harold Park trotting track. 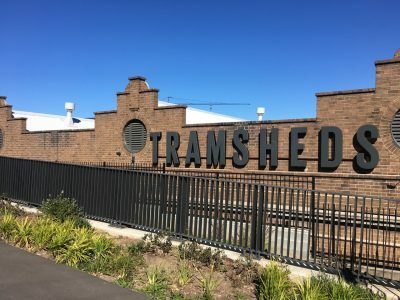 Before setting out for the waterfront, look back at the Tramsheds, which has an entrance just a few meters up Maxwell Road from the light rail station. 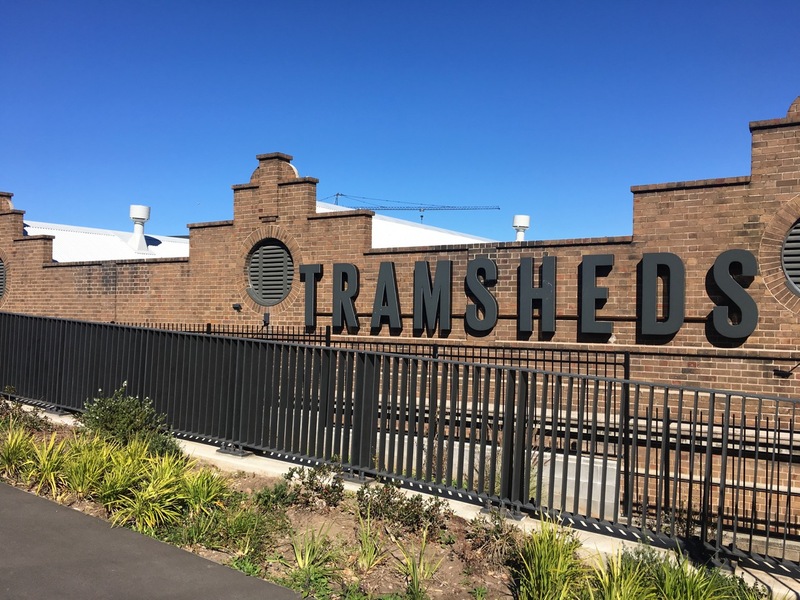 Now a popular food destination with restaurants, cafes, supermarket and other services, the building was originally constructed in two sections, in 1904 and 1907, as the Rozelle Tram Depot. 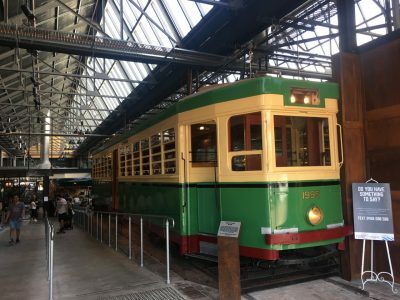 At that time Sydney had one of the largest tramway systems in the world, and the Rozelle Tram Depot supported trams from the Balmain and Drummoyne lines, with a capacity for 200 tramcars. It ceased operation in 1958. After many years of neglect and dilapidation, the building was restored by Mirvac and opened in 2016. It has won various design awards, including a National Trust award for Adaptive Re-use in 2017. Behind the Tramsheds is the residential development by Mirvac on the site of the old Harold Park racecourse. The site was originally part of the Toxteth Estate and the swamp that fed Johnstons Creek. In the 1890s the swamp was filled, the Creek enclosed in a concrete canal, and the low-lying area began to be used for sporting events of various kinds. Originally called Lillie Bridge Running Grounds at Allen’s Glen, the racecourse had various names, and became Harold Park in 1929, named after a winning horse, Childe Harold – itself named after an epic poem by Byron. The final race was held in December 2010, when the site was bought by Mirvac for residential development.